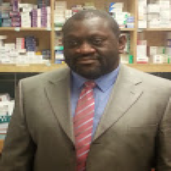 About me I am a community pharmacist living in the UK. Married with 2 children. I love sci-fi and music I like to keep things simple. For me the simpler the chart the better. I generally trade the 4h upwards timeframes. Looks like an incomplete correction. Price could be doing an EW 3 wave retracement with the channel as the second wave. If price takes out the topside of the channel the idea is wrong. The risk is therefore limited. Crude oil being up today will not help this cause. Comments on the chart. Till the trend changes I believe the risk is to the downside. Any upside will be considered better entries for shorts. However a close above the dotted trendline is a game changer for me. It is a short but from where is the trader's question.